Roborace, the startup series for electric racing vehicles with autonomous capabilities, still sees value in having a human driver — for now. In its inaugural season this year, the U.K.-based series will use a new vehicle, called DevBot 2.0. Unlike the earlier series car, the Robocar, DevBot 2.0 can be driven by a human or by a computer. And there's a reason for that, said Bryn Balcombe, the series' chief strategy officer. Humans have to understand how the artificial intelligence works, and in turn, the AI has to understand how the human works, Balcombe said during a presentation Tuesday at WCX World Congress Experience, the annual conference for SAE International. "You have to form that bond," Balcombe said. "What we can look at is the interaction between human and machine within this vehicle prototype," he said. "We've come to a point now where we've mastered machines," he said. "Humans are able to interact with machines. They almost become like our exoskeletons. "If you take a Formula One car, for example, the human driver perceives it as his own body, as an extension of his own body. By doing that, he has full control over the vehicle. But what happens when that vehicle becomes intelligent?" 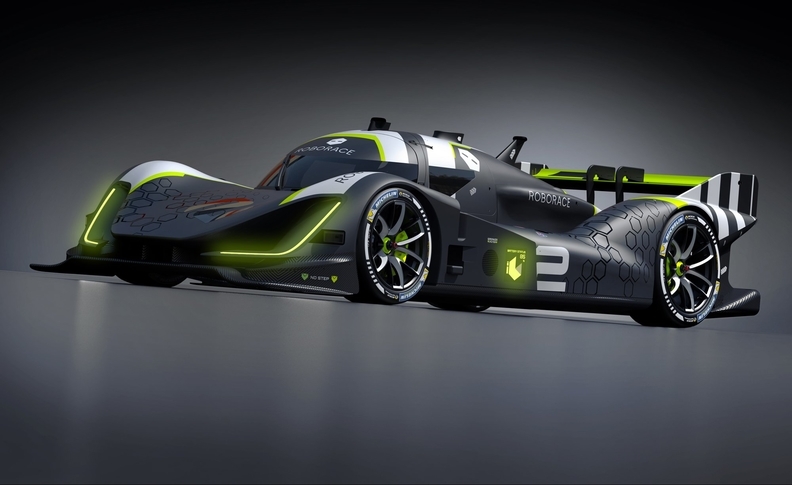 Last year, Roborace showcased its Robocar at the annual Goodwood Festival of Speed in England. The autonomous electric racer had all-wheel drive; four independent electric motors; and five lidar sensors, radar and vision cameras, among other self-driving technologies. It took six months to develop the software needed for Goodwood, Balcombe noted. Initially, Roborace intended to live alongside the Formula E electric-drive racing series, but with vehicles that didn't have drivers. Those plans have changed with DevBot 2.0, but reports say that the series intends to still hit that driverless goal in 2021. "At Roborace, we build intelligent machines, " Balcombe said. "We build robots that drive. We build robots that actually want to race."